Is Al-anon purely related to alcohol addiction? All the information I am reading relates to families/loved ones of alcohol addicts. What about other addictions (dope, food, gaming, spending)? My son is troubled with these. Comments for Is Al-anon purely related to alcohol addiction? The answer to your question is that it depends on the meeting. Some meeting do only provide support for family members and loved ones of an alcoholic. That's certainly how Al-anon was founded many years ago. But there are other meetings that support families with either drug and alcohol addiction issues. These meeting should be very useful for you because alcohol is a drug, so drug and alcohol addictions are really the same disease. So all of the support mechanisms within Al-anon are completely relevant for you in dealing with your son's drug addiction. Addiction (both drugs and alcohol) is a disease of the brain, currently incurable but treatable and usually characterized by relapse. 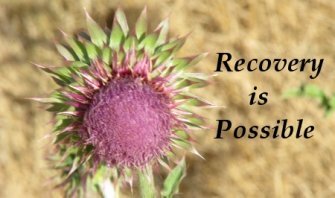 Understanding addiction and the best ways to deal with it is what Al-anon teaches us. Please try going to different meetings in your area until you find one where you feel comfortable and supported. Begin working the 12 steps and you should hopefully receive the support you're looking for with your son's addiction.